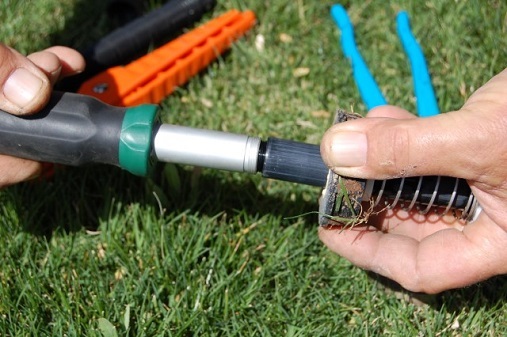 Lawn irrigation system is the finest way to keep your lawn looking lush and green. Proper lawn irrigation system perfectly delivers the right amount of water to your yard. Basic working of the sprinkler is that its controller sends a signal to the control valves in the control valve box. The valves open, sending water through the underground water line, which causes the sprinkler heads to pop up and spray. So a sprinkler always requires proper maintenance. We have team of professional and experience employees who can manage you irrigation system and can do sprinkler maintenance. Below are some steps that we follow to maintain and repair sprinkler when its not working properly. Remove the broken sprinkler head and install new head. Clean and reset sprinkler head. Make sure the valves at the back flow device are fully open. Find out leaks and repair leaks. If water pressure is low the locate leaks and repair it. Check for voltage and transformer.